Kari Dorme, member of The Beaconsfield & District Historical Society and retired Beaconsfield Area Librarian. 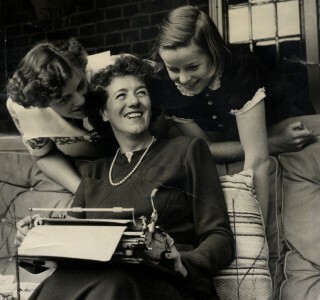 Enid Blyton with daughters Gillian (left) and Imogen. Until recently there were few reminders of the connection between Beaconsfield and the world-famous children’s author Enid Blyton. 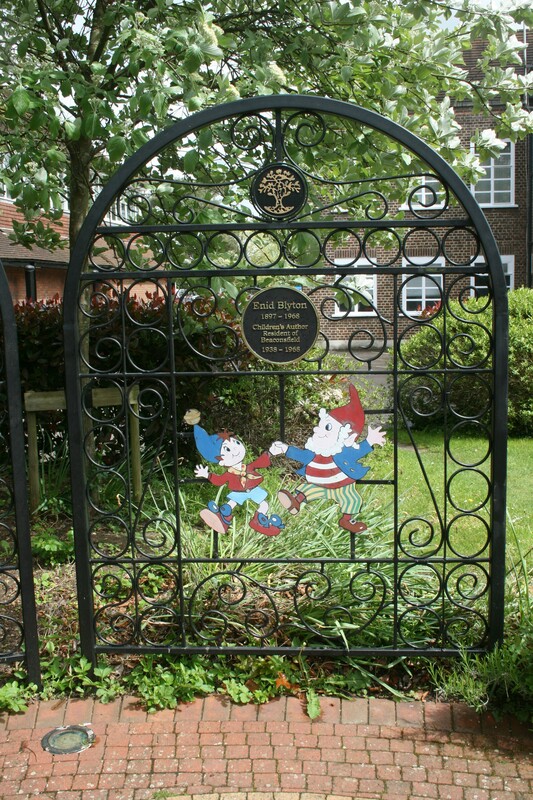 This changed in 2013, when the Beaconsfield Society organised an Enid Blyton Week to raise awareness and to celebrate the 75th anniversary of Blyton’s arrival in the town. 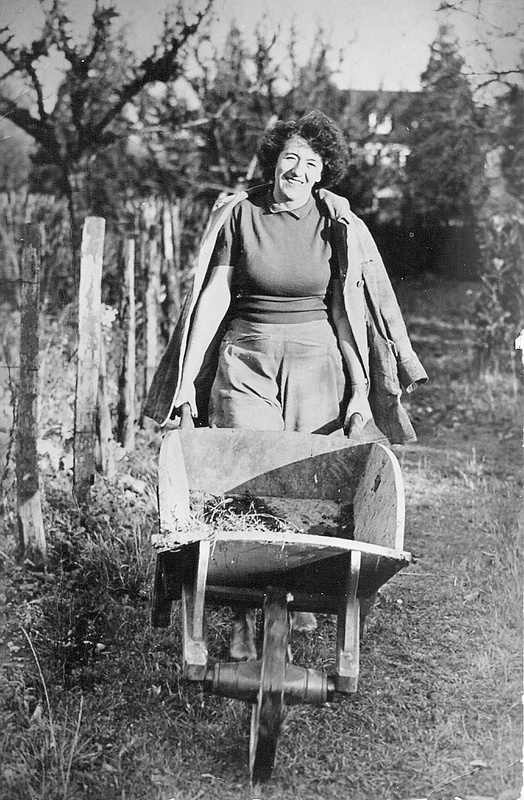 Enid and her first husband Hugh Pollock moved here from Old Thatch near Bourne End in 1938, buying an eight-bedroomed house set in two and a half acres for £3000. This home was demolished in 1973. Today the area where it used to stand at Penn Road is called Blyton Close and is the only clue to the fact that she lived in Beaconsfield until her death in 1968. 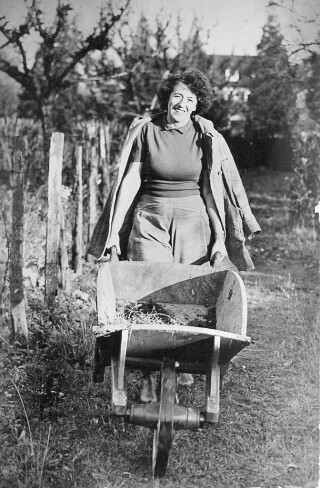 As a trained teacher Enid was already building a reputation as a writer with stories and articles regularly appearing in magazines. She invited her Sunny Stories’ readers to name her new home, and from the young readers’ suggestions she chose the name Green Hedges. She received a large postbag every week from children and teachers and answered most letters herself with Green Hedges becoming a world-famous address. Despite a blossoming career, she had personal problems and a rocky marriage. By 1943 she had divorced Hugh and married the surgeon Kenneth Darrell Waters. They were very happy together and Enid became an increasingly prolific and popular writer. During her years at Green Hedges Enid wrote all 21 Famous Five books as well as all the Secret Seven and Adventure series. 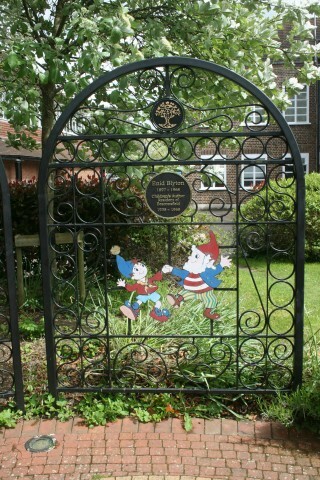 In the 1950s, she created her most successful character: Noddy, who was born in Beaconsfield! Noddy and Toyland books sold over 20 million copies. The family loved Beaconsfield and their daughters, Gillian and Imogen, attended High March School. Enid was involved in many local charities. She loved to take her children to Bekonscot Model Village and she even wrote a small book about it called The Enchanted Village. At Enid’s centenary in 1997 a beautiful model was made of Green Hedges for Bekonscot. Enid became one of the most successful writers of the 20th century, her books translated into more than 40 languages. Today they still sell by the millions. However in the 1960s, she suffered a major setback: she was criticised for being politically incorrect, xenophobic, even racist in her writing. Troublemakers were called ‘golliwogs’ or foreigners, boys were dominant, and in the Little Black Doll (1937) a doll wanted a pink face. Her books were banned by some library authorities. But since the early 1990s all newer editions of her books have been updated and the language and the text changed to reflect modern speech and attitudes. Enid should be appreciated as a marvellous storyteller, who encouraged thousands of children to read for pleasure. She made a great contribution to children’s literacy and it is time to honour her legacy. There is a happy ending to this Enid Blyton story. A commemorative plaque, commissioned by the Beaconsfield Society and paid for by Beaconsfield Town Council, has now been unveiled and takes pride of place in the Town Hall garden. I wondered if you could tell me if I am correct in thinking there was a orphanage in the town, on the oppposire side of the town to the old cinema in the 1950’s and if there was a connection with Enid Blighton.